Losing a loved one can be emotionally and financially devastating, especially if that person was the sole provider for the family. For some, there exist very few options to find financial support after the passing of a loved one. Fortunately, there are financial assistance options such as Social Security survivor benefits to ease any monetary burden placed on the family. If you assume Social Security is just retirement insurance, your understanding is incorrect. When you pay into Social Security, a portion of your taxes go toward survivor benefits for workers and families. These benefits may even be more than your traditional individual insurance policy. A thorough understanding of these benefits can help you be better prepared when the unthinkable occurs. Throughout your working years, you have paid into your Social Security benefits and have earned credits toward your survivor benefits. Your qualification for benefits and benefit amount depends on your age when you pass away. The younger you are, the fewer amount of years you will have worked. However, under the Social Security special rule, if you’ve worked one-and-a half-years in the three years prior to your passing, your family can still receive benefits. Keep in mind, no one needs to work more than 10 years in order to receive some form of Social Security benefits. Understanding your eligibility for Social Security survivor benefits can help you and your family maximize the amount you receive. Here is a list of the people that may qualify for benefits. Widows and widowers: A widow or widower may be able to take survivor benefits when they reach full retirement age. They can also choose to take a lesser benefit starting at age 60. If the widow or widower has a disability they can receive benefits as early as 50 years old. If they are taking care of your children they may be eligible to start receiving benefits sooner, as long as the children are under 16 or disabled. Unmarried children: Your unmarried children may receive benefits if they are under 18 (or up to 19 if attending school full-time). If your child has a disability that developed before age 22 they can receive benefits at any age. Also, depending on the circumstances, your grandchildren, step grandchildren, stepchildren, or adopted children may qualify for benefits. Keep in mind, every situation is unique and needs to meet different requirements to qualify. Dependent parents: If your parents are over 62 and you support at least half their income, they may qualify for benefits. Ex-Spouses: If you were in a marriage for at least 10 years, your ex-spouse can receive survivor benefits starting at age 60 or as early as 50 if they qualify for disability. However, if your former spouse is taking care of your children under the age of 16 the length of the marriage may not be required for eligibility. Keep in mind that if the ex-spouse remarries they will not be eligible for benefits. The calculation of your Social Security benefits depend on your lifetime earnings. The more the worker earns over a lifetime, the more their survivors will receive after their passing. If you want to check your current standing, you can sign up at my Social Security account. To create a Social Security account, you will have to provide personal information. You will want to keep record of the information you provide the Social Security Administration. If you have recently frozen your credit, you may not be able to create an account until you remove the freeze with the Identity Services Provider. Widow or widower: If you start taking benefits at full retirement age or older you may receive 100% of the worker’s benefits. Widow or widower: If you take benefits starting at 60 or under full retirement age you can receive about 71%-99% of the worker’s benefits. Widow or widower: If you’re taking care of your spouse’s children under the age of 16 you should receive about 75% of the worker’s benefits. Children: Most children receive 75% of the worker’s benefits. Ex-Spouses: The maximum amount you can receive is 50% of what your ex-spouse would get at their full retirement age. This is further reduced if you file before you reach your own full retirement age. If you’re still working when you begin taking survivor benefits, your benefits are usually reduced due to income limits. Click here to review the income limits for receiving Social Security benefits. Additionally, there are limits for the amount of benefits a survivor can receive. Survivor benefits may not exceed 150% to 180% of the worker’s benefits. Remember, all cases vary depending on unique circumstances. 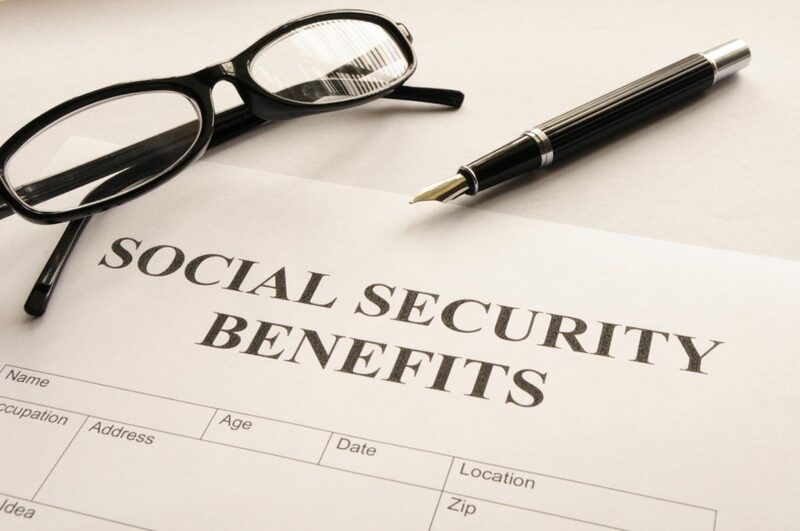 If you disagree with the Social Security Administration’s benefit decision, you can appeal your claim. To appeal your claim you will need to read The Appeal Process. You will want to apply for benefits as soon as your loved one passes away. The Social Security Administration may back pay benefits based on the time you applied versus from the time the worker passed away. You can apply for benefits via telephone or in a Social Security office. You will need specific documentation and information in order to receive your benefits. All documents must be original documents or certified copies. Even if you don’t have all the necessary documents you should still begin the application process. The Social Security Administration may assist in helping you get the information you need. If you already receive Social Security benefits from your spouse’s work history, your survivor benefits undergo recalculation when they die. If you’re receiving benefits based on your own work history, call or visit the Social Security office to determine if you could get an increase to your benefits based on the passing of your spouse. In addition to saving, wealth management, and developing tax strategies, Social Security can play a vital role in creating a financial plan. Hiring an expert to assist you in establishing a plan for your Social Security benefits may eliminate some of the stress that comes along with wealth management. Partnering with a financial planner can help you develop a roadmap for your financial journey. By working with a financial planner, they will encourage and direct the tough conversations to help you prepare for when the unthinkable happens. Many retirement questions will come up when developing a retirement plan. You want someone by your side who can explain all of your options and help ease all of your concerns. Understanding Social Security and how it applies to your retirement plan can be a complicated and confusing process. Working with a financial planner can help demystify this process and bring all the pieces together to create a comprehensive plan that not only incorporates your future Social Security benefits, but takes into account your lifestyle, healthcare expenses, taxes, and inflation, as well. Understanding Social Security survivor benefits can help you maximize and plan for your future payment amounts. Social Security plays a vital role in supplementing your income in retirement, therefore you want to make sure you get the most out of it. Partnering with a financial planner can be the best approach to helping you determine the maximum Social Security benefits that can be incorporated into your retirement plan. If you’re ready to take control of your financial future and create a plan to increase your odds of success, please contact our team today.